I know it's been a little while since I updated. I'm sorry for that. Work's picked up since it's Spring Break, people are taking time off, and its just been a generally busy week. 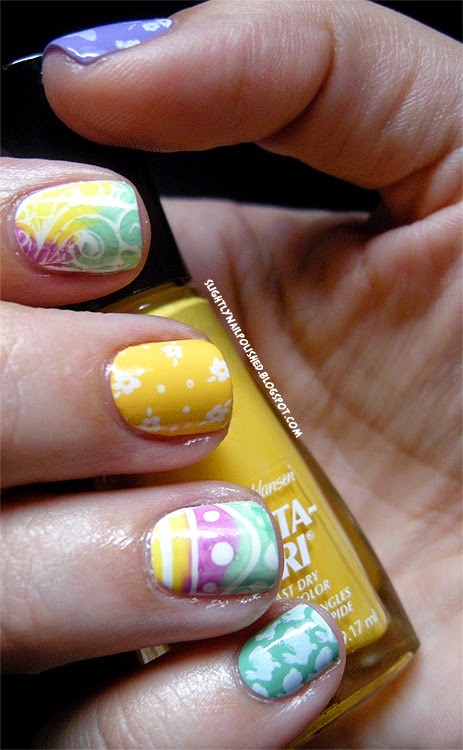 But What with tomorrow being EASTER I thought I'd jump on here and share a design with you! Ahh... Easter. 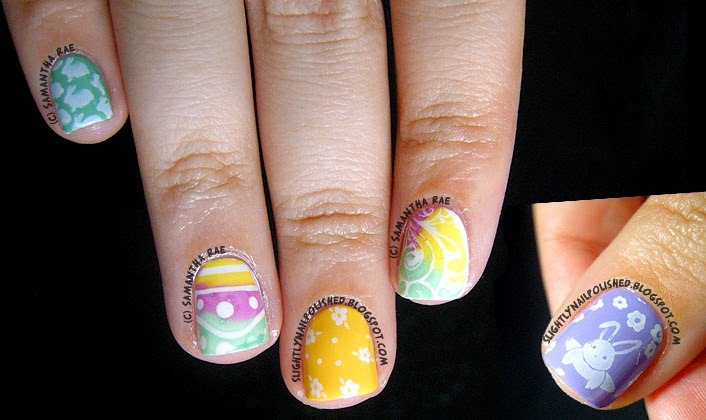 I know I've been saying it a lot recently, but I just love Easter nail designs. 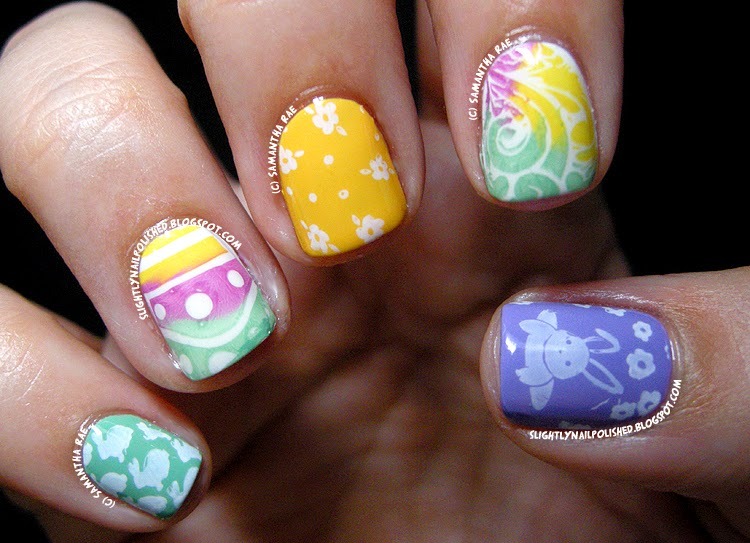 I was trying to stray away from my standard 'use all the pastel colors you can' Easter designs I've been doing recently. But unlike most holidays, this one doesn't have a set "color combo". So I played around with some colors. 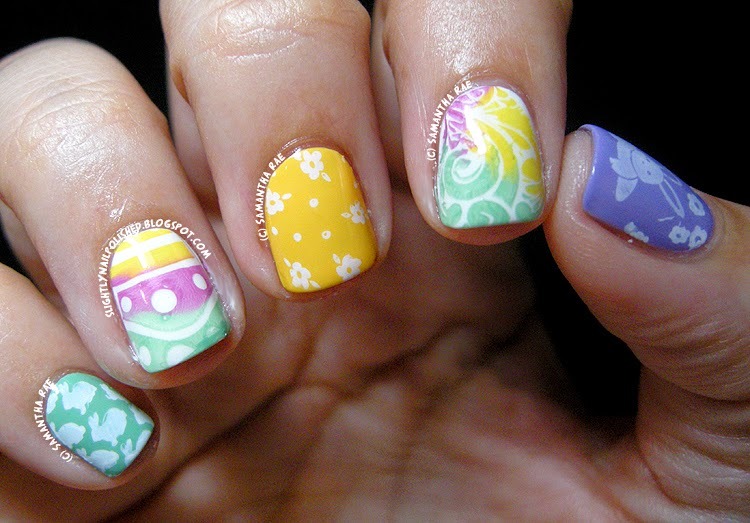 I decided that yellow, purple, and green really portray the Easter flower; the Lily. So I grabbed some stamping polishes and hit my stamping plates! I hope you all have a great holiday weekend, no matter what you celebrate. And keep an eye out for the Easter Bunny tomorrow morning. ;) Take care guys!